This workshop will focus on the beautiful chants regarding Mary including Marian antiphons, the Magnificat, hymns, and special chants for feast days. Participants will study the elements of Chant, including Gregorian notation and modes, and will learn strategies for legato singing, breath support and blending within a group. We will also explore the meaning of Marian Chants and their use in liturgical and private prayer. Traditionally, the month of May has been known as the month of Mary.During the final half hour of the program, we will recognize this devotion with a brief ceremony with chants from the day’s workshop, culminating with a crowning of the statue of Mary in the garden near the barn. Marguerite Mullée, Ed.D. is a graduate of Columbia University where she earned a doctorate in Conducting and Vocal Pedagogy. 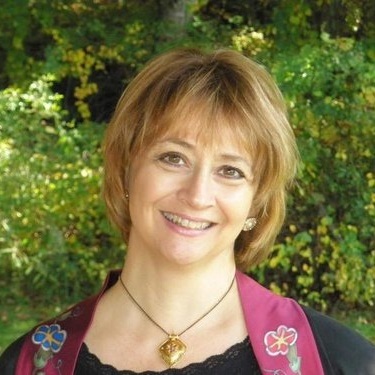 She serves as Music Director at St. John’s Episcopal Church in Washington, CT, is a Professor of Liturgical Music and Sacred Art at Holy Apostles College & Seminary in Cromwell, CT, and is Music Consultant for Our Lady of Grace Monastery in Guilford, CT. Her lectures and workshops are in high demand across the region from Shakespeare festivals to opera houses. In 2004 she was honored to present the annual Thomas Aquinas lecture in Sacred Music at UConn Storrs and in 2008, she was awarded a Statement of Recognition for Musical Excellence in Connecticut from Governor M. Jodi Rell.